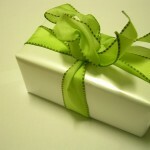 What is a gift tax? It is very important that you understand the answer to this question. You need to know how gift taxes work so you can make informed choices about when to give gifts and how to structure those gifts. You also need to know that gift taxes can actually have an impact on your estate planning. Nirenstein, Horowitz & Associates can provide you with assistance in understanding what gift taxes are, how gift taxes work, and when a gift tax might have to be paid. Our legal team will also help you to avoid gift taxes, and can work with you to create a strategic plan for giving inter vivos gifts (gifts during your lifetime) in order to reduce your taxable estate to lower taxes that could be triggered by your death. Give us a call to talk with a Connecticut estate planning lawyer to find out more. A gift tax is a tax that is charged when you give away something that you own that has a substantial value. Typically, no gift tax is assessed on gifts made to a spouse, but instead the tax is triggered only if you give gifts to someone you not married to, like a child or a friend. 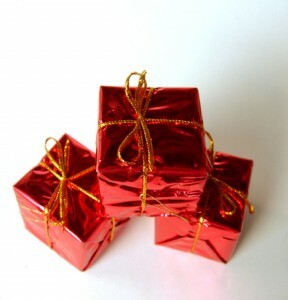 Gift taxes are charged on the federal level on gifts exceeding a certain value. The taxes are typically paid by the person who gives the gift, not by the person who receives the gift. Some states also charge gift taxes as well. Those are separate from taxes paid to the IRS and individual states can set their own rules for taxation. Gift taxes are not the same as estate taxes, which are taxes triggered by a death and paid by the estate of the person who has passed away. They are also not the same as inheritance taxes, which are required in a small number of states and which require a person who inherits after a death to pay a tax based on the inheritor’s relationship with the deceased. However, gift and estate taxes are related. This is because, for taxable gifts, there is an aggregate lifetime exemption before taxes actually have to be paid. The aggregate lifetime exemption, which is $5.49 million as of 2017, applies to both gift and estate taxes combined. In other words, if you have taxable gifts during your lifetime, those count against the amount of money you’re allowed to pass on tax free after you pass away. The IRS allows each person to transfer $14,000 per gift recipient each year. So, if you keep gifts under $14,000 in value to each person you give a gift to, you will not have to pay federal gift taxes. This means if you have two kids, you could give each kid up to $14,000 and give a total of $28,000 in the course of a year to each child. Your spouse could also give $14,000 to each child each year. Connecticut used to impose a gift tax prior to 2005, according to the Connecticut Department of Revenue. However, this was repealed. 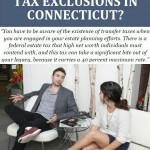 There is now a unified gift and estate tax in Connecticut, as explained by this state booklet. If your gift is made after 2011, you won’t pay gift tax if you don’t make gifts exceeding $2 million. Like with the IRS, the $2 million limit in Connecticut is an aggregate limit applicable to gifts given during your lifetime and to the value of your estate when you pass away. If you give taxable gifts during your life, you can pass on less money tax free upon your death. Nirenstein, Horowitz & Associates can provide assistance with structuring gifts during your lifetime to avoid triggering taxes on the state or federal level. We can also provide you with assistance in making a comprehensive estate plan that is aimed at avoiding an estate or inheritance taxes that could be triggered by your death. You work hard to build wealth and acquire assets, and you are taxed on the income you earn and often on the property that you acquire over the course of your life. It is more than understandable that you want to pass your assets on to heirs or beneficiaries without losing a substantial portion of your estate to taxes. Our legal team will work hard to help make that happen. To learn more about how estate planning can help you to avoid or reduce estate tax, join us for a free seminar. You can also give us a call at 860-548-1000 or contact us online to talk with an estate planning lawyer who can provide personalized advice on a tax avoidance plan for you. Call before you give a gift, and call while you still have a chance to protect and preserve your legacy by avoiding a big tax bill.